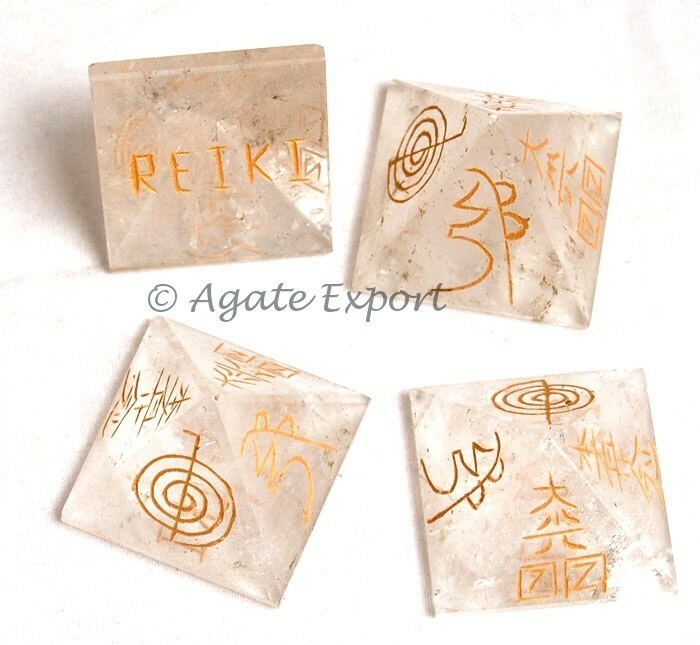 Crystal Quartz Reiki Pyramid has symbols on each surface. Pyramid is a channel of energy. Made from crystal quartz, this product is a storage of abundant energy. Use this pyramid if your aura feels comfortable and you feel a pull towards it.